While botanicals may have become quite the skin care buzzword lately, these natural ingredients have been used on the skin for decades. Botanical extracts are derived from plants, whether it be the flower, fruit or leaves, and this gives each one some truly powerful and unique properties. Wondering which botanical ingredients you should be adding in to your skin care routine? Here are 10 of the best. Derived from the seeds of grapes, grape seed tends to appear as either an extract or an oil in skin care products, and can also be taken as oral supplements. You have likely heard of, or even used, aloe vera before, but did you know that this plant contains more healing compounds than most of the other plants out there? This is why aloe vera is often referred to as the miracle plant, as there are so many different issues that this botanical can treat. 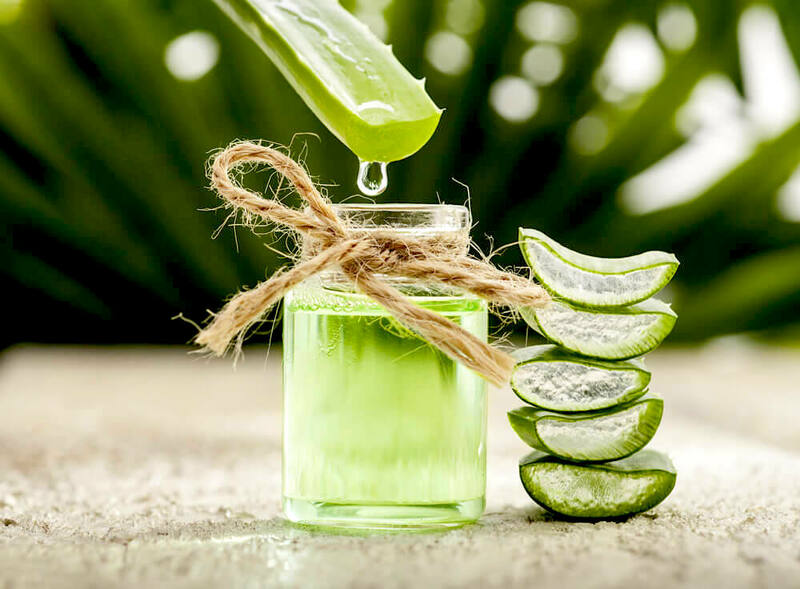 When it comes to the skin, aloe vera is most commonly used for its calming and soothing properties, which is why you will often find it formulated into products for sensitive skin. No matter your skin type, and whether you are suffering from acne, psoriasis, or anything else, aloe vera is a botanical that can probably help. If you have oily, acne-prone skin, then you have probably already heard of, or even used, witch hazel before. The botanical itself comes from the bark and leaves of the witch hazel shrub, a plant that is native to North America. Why is it such a popular acne treatment? Because, firstly, witch hazel is an anti-inflammatory. This means that not only can it reduce acne breakouts, but it can also treat other inflammatory skin conditions, such as eczema and psoriasis. Witch hazel is also an astringent. 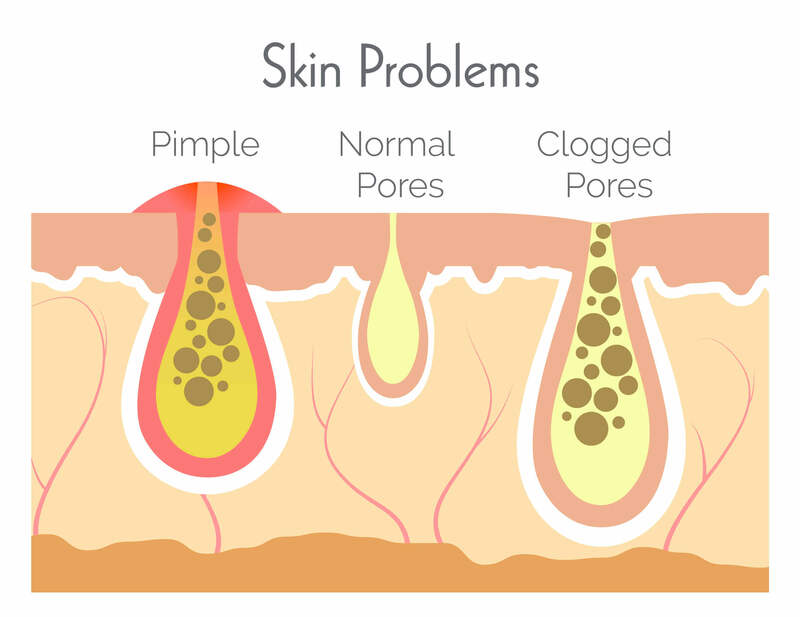 That it causes the tissues in your skin to contract, resulting in the opening of your pores shrinking. This then prevents oil, bacteria and everything else from settling into your pores and causing breakouts. If all of that wasn’t enough, witch hazel is also packed with tannins. These are plant compounds that boast antioxidant properties, meaning that they are able to neutralize free radicals in the skin. Research shows that tannins are also able to act as an effective barrier on the surface of the skin, preventing unwanted particles from entering into the skin’s layers. A plant that produces small flowers that look similar to daisies, chamomile has long since been used for its healing properties. 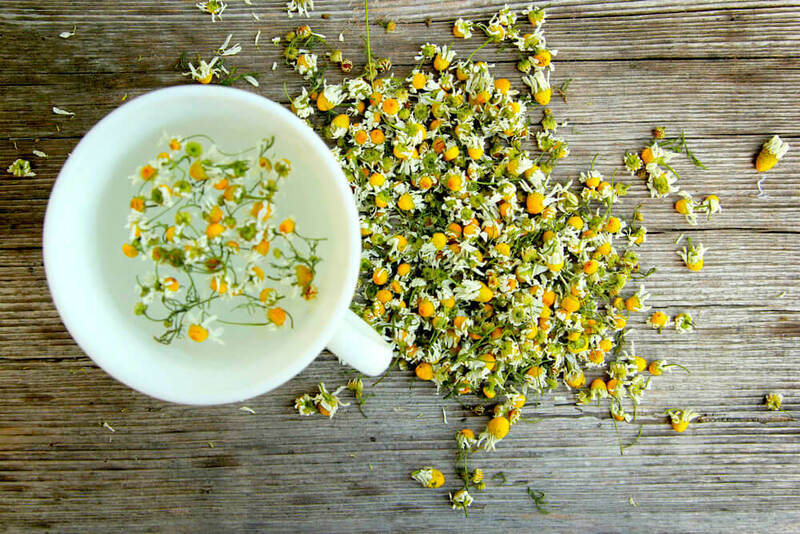 As you probably know, chamomile tea is often consumed for its calming effects, and these are the same benefits that your skin will experience when this extract is applied topically. In a way, the skin effects of chamomile are quite similar to that of aloe vera, with chamomile also being an anti-inflammatory, antioxidant-rich and skin-soothing ingredient. Just like aloe vera, chamomile is great for healing the skin, and is also often used for treating burns. It is also hydrating and gentle, making it ideal for all skin types, even for babies. While all of the teas are fantastic for your skin, green tea is just that little bit more powerful, making this the tea to go for. Studies show that green tea contains the most potent of all the antioxidants known to mankind. Known as EGCG, this antioxidant not only has anti-cancer properties, but is also a fantastic anti-aging compound. Green tea is also highly anti-inflammatory. This is due to the polyphenols, known as catechins, within the extract. If you’ve got acne, green tea can help with this too since it is an antibacterial agent, while those with dry skin will love the hydrating properties of this botanical. Do you suffer from puffy eyes and dark circles? Green tea contains tannins that are able to shrink blood vessels, reducing puffiness and redness, which is why this ingredient is often used in eye creams and serums. Roses are quite an amazing plant, and so many parts of this plant are beneficial when it comes to the skin. As you already know, roses also have a beautifully distinct scent. For this reason, many skin care companies choose to use this botanical instead of a fragrance in their products. 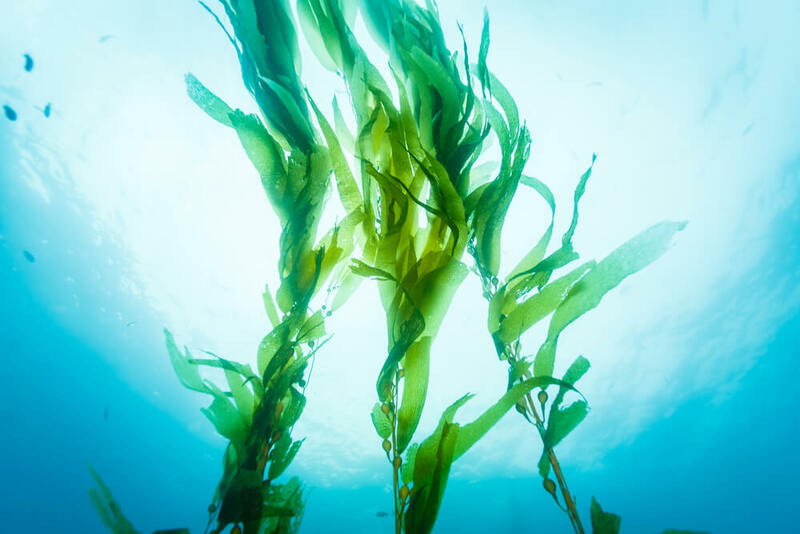 Often referred to as the superfood of the sea, algae, along with seaweed and kelp, is fantastic for the skin. This is something that is becoming more and more widely known, with over 40% of millennials in the USA already using a skin care product containing marine algae. So, what makes algae so effective? What does all of this do for your skin? Quite a bit, such as protecting against cell damage, hydrating the skin, nourishing the skin with antioxidants and providing the skin with plenty of anti-aging compounds. There are many different types of marine algae out there, and while they all share some similarities, they also each have their own distinct properties. Jojoba is a plant that is native to North America, and the oil that is derived from it is already an extremely popular skin care botanical. Well, most importantly, the structure of jojoba oil mimics that of the sebum that is naturally produced by the skin. This means that jojoba is an oil that can even be used by those with oily skin. Rather than exacerbating oiliness, jojoba oil tricks the skin into thinking that it has produced enough oil, resulting in its sebum production slowing down. Thanks to its unique structure, jojoba oil also has the ability to penetrate deeper into the skin than other oils, meaning that it can bring about more significant changes. What does it actually do once it is in the skin? Jojoba oil is extremely gentle and safe, meaning that not only can it be used by all skin types, but it can even be used on the more sensitive parts of the skin, such as around the eyes. While oats may not be as exotic as some of the other ingredients on this list, this botanical has some amazing skin-boosting properties. You probably already know that oats are a great ingredient to use if you need to soothe and calm your skin. This is due to the botanical’s anti-inflammatory and moisturizing properties, both of which are so effective when it comes to treating conditions such as eczema, psoriasis, dry skin and itching. It is also packed with antioxidants, proteins and lipids, all of which help to protect the skin from damage while encouraging skin cell healing. Wondering if you can just apply the oatmeal in your kitchen to your skin? Technically, yes, but this won’t have much of an impact. The oat extracts contained in skin care products consist of molecules that are small enough to be absorbed by the skin, and this is something that won’t happen with standard oatmeal. 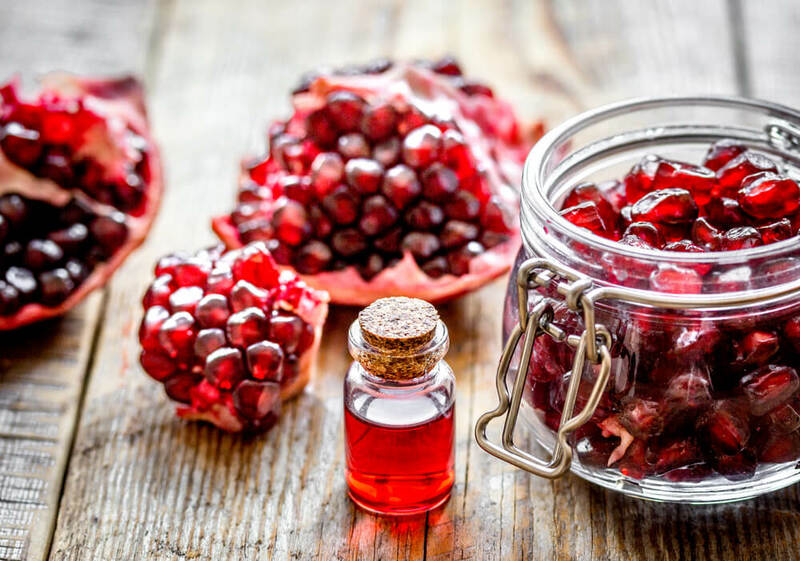 Pomegranates have been around for over 3000 years, with ancient cultures being well familiar with the health benefits that this juicy fruit can bring. 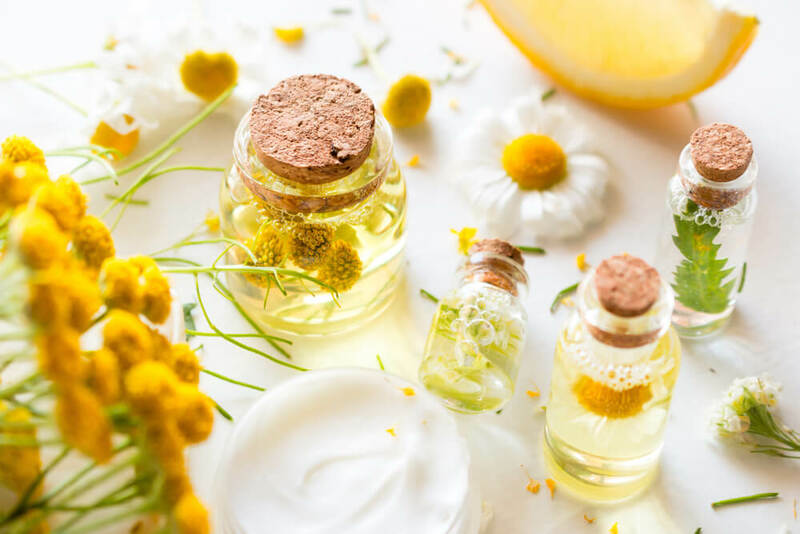 As more and more people are recognizing the benefits of botanicals, these ingredients can now be found in such a wide range of skin care products. They are able to help with so many different skin concerns, making it well worth incorporating more botanicals into your skin care routine whenever possible. Many people think that they either have thin skin or thick skin, but did you know that your skin thickness varies around your body? Not only that, but skin thickness also changes with age, significantly changing your appearance, making skin thickness a topic well worth knowing a bit more about! What Exactly is the Difference Between Thin and Thick Skin? 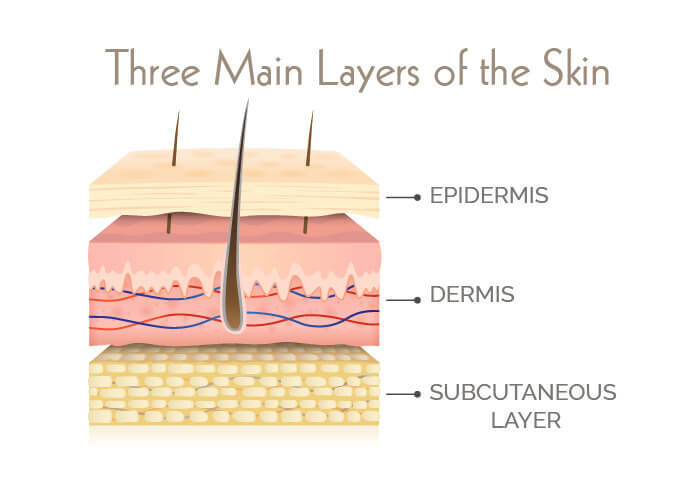 Thin skin contains four layers here, while thick skin contains five. As you can imagine, this makes thin skin more vulnerable to damage than thick skin. So, where on your body can you find thick and thin skin? To put it simply, the skin on your face is much thinner than the skin on your body. But, to make things slightly more complicated, different parts of your face will feature skin with a different thickness. The skin here is up to ten times thinner than the skin on the rest of the face, which is why this area is usually the first to show visible signs of aging, such as fine lines and wrinkles. In addition to being thinner, the skin around the eyes, especially in the outer corners, is noticeably lacking in oil glands. Because oil glands are crucial when it comes to keeping the skin moisturized, preventing wrinkles and fine lines from developing. So, how can you properly care for the skin around your eyes? Yes, your lips consist of the same layers of skin as the rest of your face. The difference lies in the thickness of the epidermis, with the lips featuring an extremely thin epidermis. 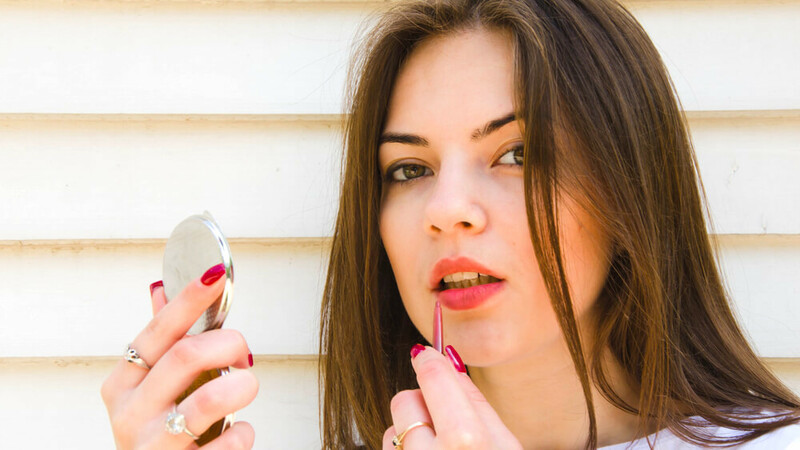 Just like with the skin around your eyes, the skin on your lips does not contain any oil glands, with the only source of moisture here being the saliva from your mouth. It goes without saying that the best way to give your lips some extra nourishment is by providing them with an additional moisture source, such as a hydrating lip balm. Try to find one that contains SPF, as the skin on your lips will experience UV damage just like the skin on the rest of your face and body. When it comes to the skin on your body, the skin on your neck and chest is the thinnest. Again, just like the thin areas on the face, the neck and chest do not contain as many oil glands, meaning that both of these areas are highly prone to the visible signs of aging. Added to this is the fact that the neck undergoes so many different movements throughout the day, with all of these repeated motions leading to loose skin and wrinkling. All you need to do is extend your regular facial skin care routine downwards, so that you are covering your neck and your chest too. Yes, this means everything from your cleanser to your exfoliant to your serum to your moisturizer, as the skin here needs all of this just as much as your face does. The hands are quite similar to the neck and chest, in that the skin here is quite thin. This is why many people can instantly tell your real age just by looking at your hands. Not only that, but the hands tend to be the part of the body that are always exposed to the sun, yet many tend to neglect this area when it comes to applying sunscreen. All of this sun exposure only leads to a breakdown in your skin’s collagen and elastin, making it even thinner than it was. How can you give the skin on your hands the care that it needs? You likely wash your hands more often than you wash any other part of your body, but, each time you do, you are actually drying your hands out. To counter this, make sure that you apply a layer of moisturizer or hand cream each time you wash your hands. Don’t worry about completely drying them either, because the cream will work so much better on damp skin. Sun protection is also important. If you tend to forget this, try finding a hand cream that already contains SPF. While the actual soles of your feet may feature skin that is thick, the skin covering the rest of your feet is relatively delicate. However, not only does it have to deal with its own fragile nature, but it also experiences so much wear and tear from the use of improperly fitting shoes. In fact, 70% of foot problems are caused by ill-fitting shoes, and this definitely isn’t going to do your skin here any favors. As you can imagine, the best way to prevent this is by making sure that your shoes fit you properly. Any quality shoe store will be more than happy to help you with this. A moisturizer or foot cream can also really help to keep the skin here moisturized. Just because the soles of your feet have thick skin, this doesn’t mean that you can completely neglect them. The skin here contains no oil glands, meaning that it is prone to dryness. Sun damage can also take a toll here, often without people even realizing. So, why not give your entire foot some TLC each week? The elbows and knees experience quite a bit of friction, since they are usually rubbing against something. This is fine when you are younger, but, as you age, skin cell turnover declines, meaning that your older skin cells remain on the surface of your skin for longer. This means that the rough and discolored skin cells on your elbows and knees, caused by all of the extra friction, build up, leading to the appearance of thicker skin around these joints. The skin here can also often look and feel dull and rough. Exfoliation, especially with hydroxy acids, can really help. These acids will dissolve away the glue-like substance that is holding the dead skin cells to your elbows and knees, allowing this rough and discolored skin to simply be washed away. What you will be left with are the fresh and new skin cells beneath. While they may look radiant and new, don’t forget that they are also extremely vulnerable to the elements, especially the sun. Sun protection is always important, but it becomes even more so after you have exfoliated. Keeping the area moisturized is also key. Look for a rich and thick moisturizer that contains urea and hyaluronic acid, as these ingredients will really help to hydrate the skin. If you are already using a retinol product on your face, try using this on your elbows and knees too. Because the retinol will not only exfoliate the skin here, but will also increase collagen production and keep the skin smooth and firm. Even though parts of your skin may already be quite thin, your skin thickness actually changes with age, with your skin becoming even thinner the older you get. Due to several different factors, such as a breakdown in collagen and elastin, along with a decrease in oil production. In fact, after the age of 20, a person produces around 1% less collagen in their skin each year. There are actually several different ingredients out there that can not only help to prevent thinning skin, but can also help to thicken thin skin back up. Now that you understand how skin thickness varies around the body, you will be able to take the necessary steps when it comes to protecting areas of thin skin. These areas are extremely delicate and fragile, and if you want to delay the onslaught of skin aging for as long as possible, learning how to properly care for your skin is key. Do you exercise quite often? While this is fantastic for your health, as well as for your skin in the long run, athletic people do tend to face a whole host of skin issues due to this increased physical activity. From body acne to hyperpigmentation, here are 7 of the most common skin issues experienced by sporty people, along with ways in which you can avoid them. Acne is frustrating enough to deal with on the face, but when it starts to develop on the body too, which is also known as bacne, this can be even harder to clear. How does exercise lead to acne? When you exercise, your body releases sweat, which then builds up in your hair follicles, not only on your face but also your body. This clogs up the follicles, leading to inflammation and breakouts. Add to that the irritation from clothing, as well as any rubbing that your clothing has been doing, and you have the perfect recipe for a big breakout. So, what’s the best way to avoid this acne? Well, when it comes to facial and body acne, the methods are pretty much the same. To begin with, make sure that you remove any sweaty workout clothing as soon as you are done, and take a cool shower immediately. To help unclog your hair follicles, use a cleanser that contains either salicylic acid or benzoyl peroxide. Can’t have a shower immediately after working out? That’s ok, because you can simply use a salicylic acid face or body wipe instead, and then have a shower as soon as you are able to. Don’t forget to also wear loose and breathable clothing, as this will help to prevent your clothing from irritating your skin and causing you to sweat more. Not sure if your workout clothes are breathable or not? As you can guess from its name, heat rash is a rash that is caused by heat. Again, it is your sweat that leads to this skin issue. When your sweat ducts become obstructed for whatever reason, it causes your sweat to leak on to your skin. The area around that leakage then becomes extremely inflamed, leading to the red prickly bumps known as heat rash. The answer here is to keep your body cool at all times, which is, of course, quite difficult when working out. However, restricting the amount that you sweat is key, so it may be worth moving your work into an air-conditioned room on hot days, or saving your workout for the cooler early morning or evening air. Just like with acne, keep your clothing light and breathable, to prevent it from rubbing against your skin. Hyperpigmentation can be caused by a number of different factors, with the main one being UV exposure, something that sporty people tend to experience much more of than those who lead a more sedentary lifestyle. Not sure what hyperpigmentation is? It refers to darker patches of skin, either on your face or your body. Each time you expose your skin to the sun, your body produces more melanin, which is the pigment that gives your skin its color, and is responsible for suntans. 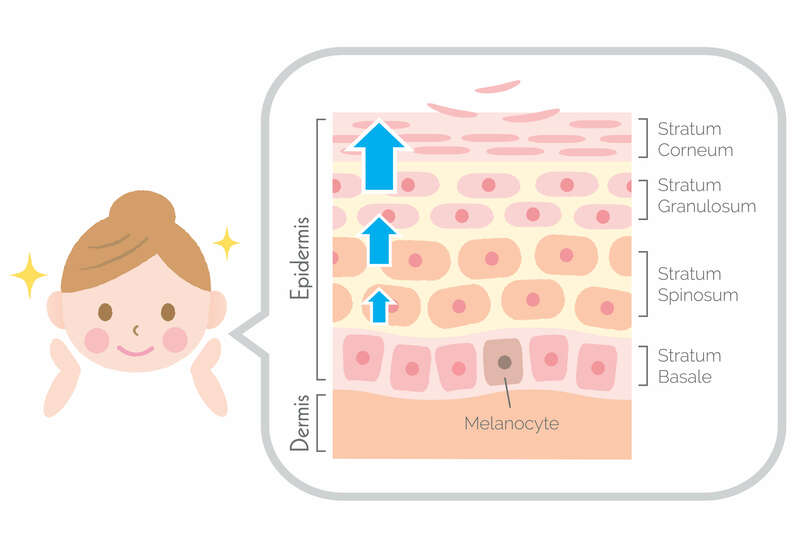 Melanin is your body’s way of protecting itself against the sun’s rays, but sometimes melanin can be over-produced, leading to it clustering up under small areas of skin, which is why these patches appear darker than the rest. Well, seeing as it is likely due to sun exposure, the best way to avoid hyperpigmentation would be to ensure that you are using plenty of sun protection. Not only should you be wearing a broad-spectrum sunscreen each time you are out in the sun, but make use of physical sun protection methods too, such as hats, sunglasses and lightweight clothing. You should also take care to stay out of the sun during its hottest hours. These are usually between 11am and 3pm, although it will vary depending on your location. Try to seek shade whenever possible, and give your body regular breaks from direct sunlight. If hyperpigmentation wasn’t bad enough, the sun also leads to other skin issues, which, again, is commonly experienced by athletic people and those who spend a large amount of time exercising outside. What sort of skin issues does the sun cause? Well, the first, and most common, is a sunburn. Did you know that five serious sunburns can increase your risk of developing a deadly form of skin cancer by 80%? There are many ways in which you can make a sunburn easier, and less painful, to deal with, using products such as aloe vera and green tea. However, you would be far better off avoiding the sunburn to begin with, as this significantly reduces your cancer risk. If you have ever noticed an increase in wrinkles in those who regularly exercise outdoors, then it is likely that they have not been using adequate, if any, sun protection. The sun is responsible for up to 80% of skin aging, causing everything from wrinkles and fine lines to dark spots and dryness. All you need to do, as mentioned above, is wear sunscreen each and every day. Think you can skip out on your sunscreen because it’s cloudy outside, and you don’t plan on working out for too long? The sun’s UV rays can not only penetrate through thick cloud, but also through glass, so even if you are working out indoors near a window, you will still need to wear sunscreen. While a certain amount of sun exposure is good for your skin, your skin only needs 10 minutes of this a day in order to top up its vitamin D supplies. So, if your workout is going to be longer than ten minutes, which it likely will be if you are a sporty person, then definitely apply plenty of sunscreen beforehand. When it comes to premature aging, make sure that you are already following an anti-aging skin care routine. 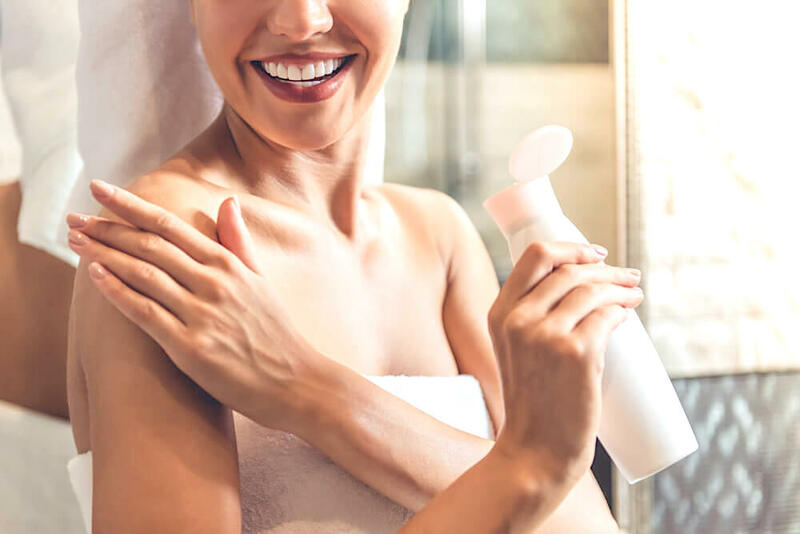 Even if you are diligent about sun protection, you will likely still end up leaving your skin exposed at times by accident, so it is important to be using the right skin care products as a follow-up to this. If you are already quite an athletic person, then you are likely already well aware of athlete’s foot. However, for everyone else, this is a fungal infection that can be picked up from other people’s feet. Simply walking barefoot over public areas, such as in the changing rooms at the gym, can lead to this. It generally manifests as white scaly skin on the bottom and sides of your feet, with this being quite dry and sometimes itchy. It can also lead to a thicker and softer white skin developing in between your toes, before entering into your toenails and causing them to thicken and turn yellow. All you need to do is make sure that you are wearing sandals or flip flops when walking around public exercise areas. You will likely need to make an appointment with your doctor or dermatologist, as the best way to clear this is with a prescription anti-fungal cream. It takes a few weeks for the infection to clear, but make sure that you have it treated as soon as you notice it, because once it worsens, it is much harder to eradicate. For some, exercising regularly can lead to oily skin and acne, but for others, it can have the opposite effect. Those who regularly exercise often end up showering more often, which is necessary in order to clear away the sweat from your skin. This is no problem if your showers are quick and cool. Wondering what’s so bad about a hot shower? 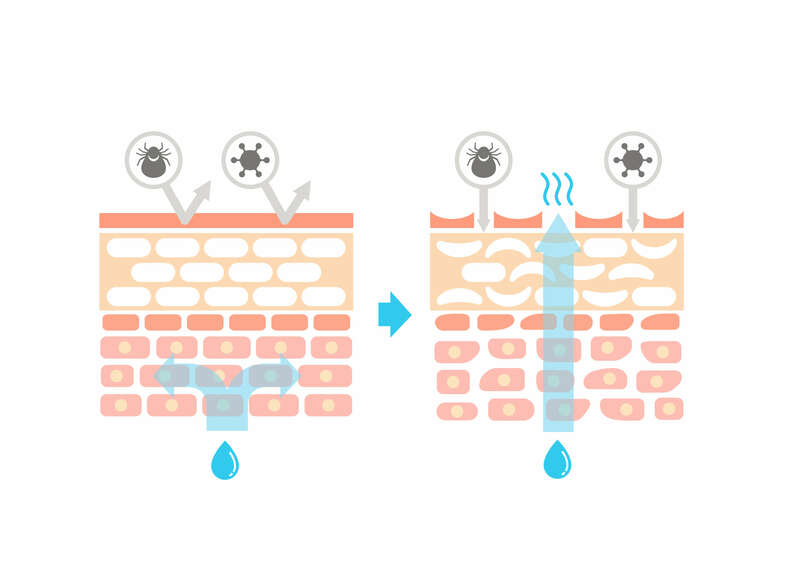 The hot water strips away your skin’s natural oils, which are important for skin hydration. Yes, your skin does produce more oils on its own, but if you have a hot shower too often, you will be stripping your oils away faster than your skin can replace them. Your skin ends up dry and dehydrated, with red, itchy and flaking patches. As mentioned above, a shower after working out is essential, but the hot water isn’t. The best way to prevent dry skin from developing is by keeping your showers as cool as you can handle, and make sure that you do not remain in the water for any more than ten minutes. As soon as you are done in the shower, it is important to apply a layer of moisturizer, while your skin is still damp. Because a moisturizer is designed to form a thin protective layer over the surface of your skin. This prevents moisture from evaporating, meaning that if you already have extra water on the surface of your skin, the only place for this to go is downwards into your skin. While exercising doesn’t cause eczema, it does cause existing eczema to flare-up, and quite drastically too. Due to the moisture and salt of your sweat. These both irritate the skin, which not only makes an eczema rash redder and more visible, but also more uncomfortable. With an increased itch, you will likely end up scratching or rubbing at the rash, which then, as you already know, makes the eczema even worse. Want to know how to prevent eczema flare-ups when exercising? Tone it down a bit when it comes to your workouts, taking this slower until your flare-up has calmed. This may mean walking instead of running, or doing some yoga instead of a sports class. While you may be tempted to ignore the problem and just carry on with your normal routine, this is only going to make your eczema worsen even more. Make sure that you are keeping your skin well-moisturized, as those with eczema already have a damaged skin barrier, which a moisturizer will help to temporarily heal. If your flare-up is especially severe, then visit your doctor for a more powerful treatment. While these skin issues can definitely be annoying, the benefits of exercising frequently and regularly far outweigh the problems that these skin problems bring. 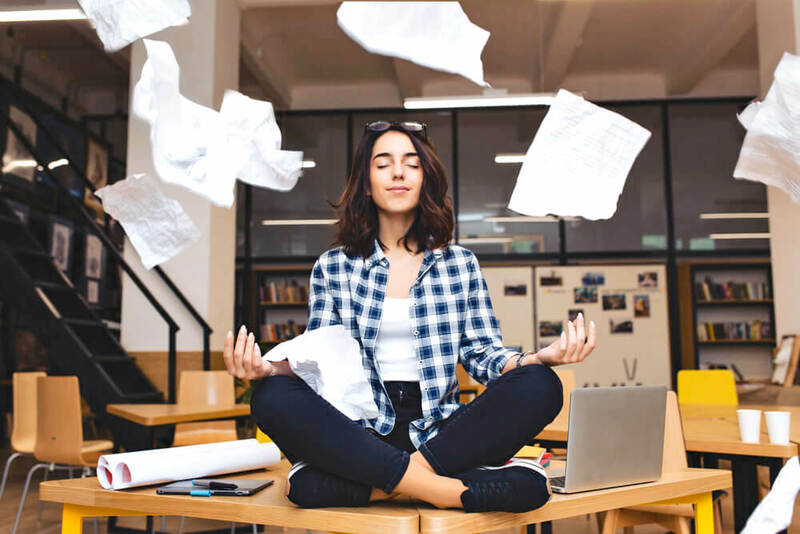 As long as you know how to avoid the issues that you seem to be most susceptible to, you will be well-equipped to keep being just as physically active as always. It is no secret that as your body ages, your skin is going to go through quite a few changes, with your skin in your 20’s being extremely different to your skin in your 50’s. This is why it is so important to keep adjusting your skin care routine as you progress through life, adopting different ingredients and techniques at each stage, as this will help to cater to your skin’s ever-changing needs. When you are in your 20’s, it may seem as though the firm and tight skin you have always known is going to last forever, but, unfortunately, this is not true. This is the rate at which your body sheds its old skin cells, to make way for new ones. In your teens and younger years, your cell turnover rate is every 14 days. However, as you progress through your 20’s, this declines to every 24 to 30 days. 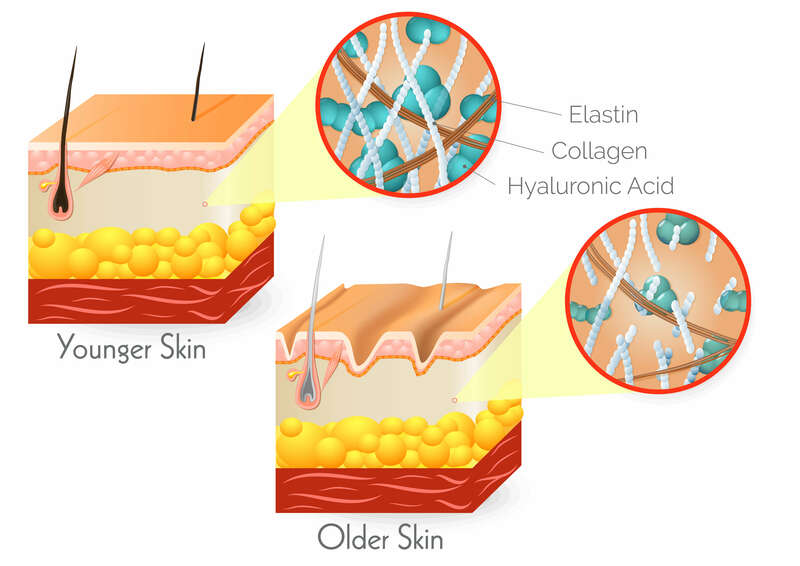 Collagen is another key element of your skin that begins to decline in your mid-20’s. It is one of the building blocks of your skin, and is the protein that largely makes up your skin’s structure. Once you reach your mid-20’s, the rate at which the collagen in your body breaks down overtakes the rate at which you naturally produce new collagen. Well, seeing as up to 90% of facial wrinkles are caused by the sun’s UV rays, wearing sun cream is essential. If you are not already doing this every day, then this is something to begin doing right now. Start using a retinol product. Retinol is a derivative of vitamin A, and is one of the most potent anti-aging ingredients out there, with one of its greatest benefits being the way in which it speeds up cell turnover. Not only that, but it also stimulates your natural collagen production, helping to increase this so that production once again outweighs breakdown. 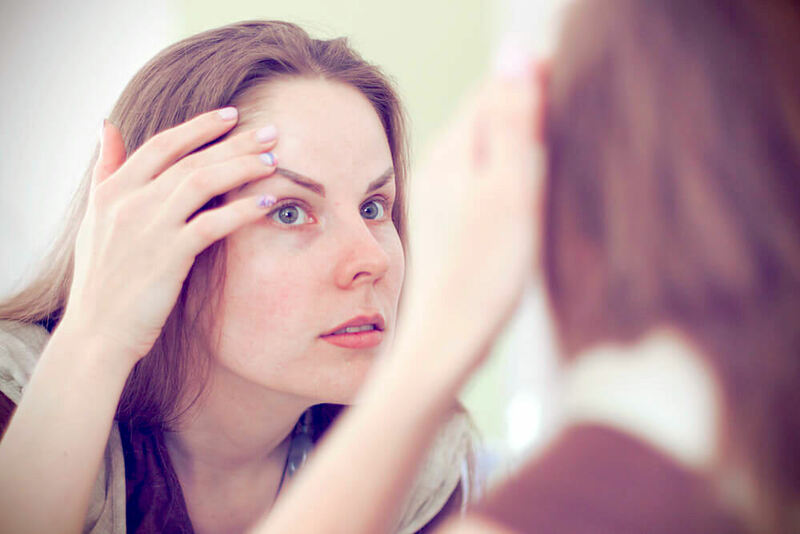 While you may have been completely confident in your skin in your 20’s, you are much more likely to experience a few panicked moments in relation to your skin in your 30’s. This decade tends to be the one where you experience your first static lines and wrinkles. These are lines that do not fade when your face is resting, and are usually due to the continued decrease of collagen in your body. If you are not yet using a retinol product, then now is the time to start, for the same reasons as mentioned in the 20’s section before. 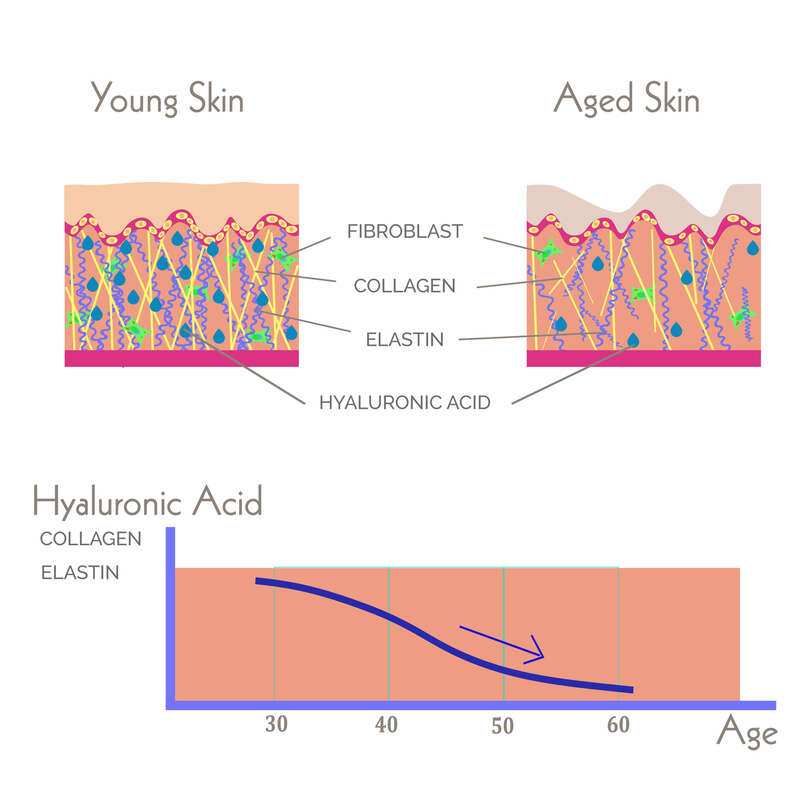 Another key component in your skin that begins to noticeably decline in your 30’s is hyaluronic acid. You may have already noticed this ingredient in many skin care products out there, but do you know what it actually is? Hyaluronic acid is a molecule that occurs naturally in the body, and can be found in so many different parts of the body. So, when your natural levels of hyaluronic acid begin to decline, it only makes sense to top these back up. But what exactly does hyaluronic acid do for the skin? Well, this ingredient is a humectant, meaning that it draws moisture from the air into its molecules and then holds this water there. Your skin then absorbs this moisture, helping it to stay hydrated for longer. Hyaluronic acid can be found in everything, from serums to creams. The most effective tends to be a serum, as their thin consistency means that they are more easily absorbed by the skin. When choosing a product, make sure that it contains at least 1% hyaluronic acid, as this is the amount needed in order for the ingredient to really have an impact. How else can you care for your skin in your 30’s? By incorporating antioxidants into your skin care routine. 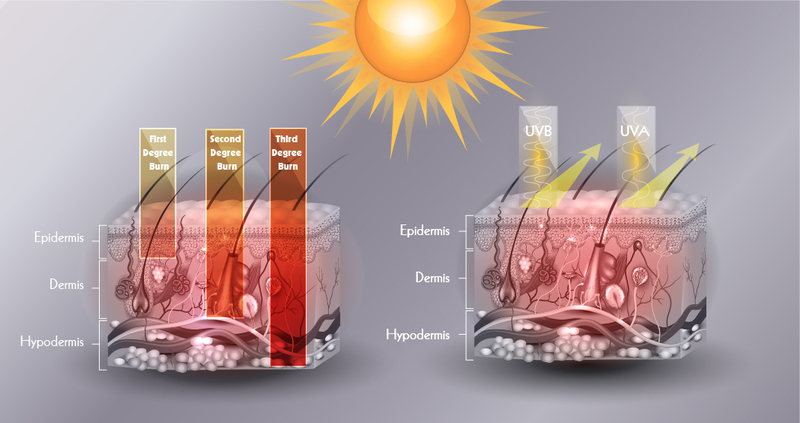 Your skin is constantly under attack from free radicals, which are caused by everything from sun exposure to pollution. Simply put, free radicals are atoms that are missing an electron. In order to “heal” themselves, they will try to steal electrons from nearby cells, thereby damaging those cells, as well as their DNA. Free radicals are one of the primary causes of aging, which is why this is something worth focusing on. They provide free radicals with the electron that they are missing, therefore healing them and stopping them from attacking other cells in the body. So, which antioxidants should you be using? Antioxidants work best when used in conjunction with each other, so try adding multiple antioxidants to your skin care routine. Those light lines that you noticed appearing on your face in your 30’s will begin to deepen in your 40’s, making them much more noticeable. All of the natural declines from your 30’s, such as collagen production and hyaluronic acid, continue on, with cell turnover also decreasing down to every 30 to 42 days. You will notice that your skin feels much less resilient, and that it does not “bounce back” in quite the same way anymore. The outer layer of your skin consists of a protective barrier, whose role is not only to protect your skin from environmental damage, but also to retain moisture. As the body ages, this barrier weakens, meaning that your skin experiences a far greater loss of moisture. Fortunately, there is an easy way to deal with this, and this is by switching to a much richer and thicker moisturizer. You may also need to moisturize more frequently throughout the day, in order to compensate for the extra moisture loss. Another skin issue that may arise in your 40’s is hyperpigmentation. This is when melanin, which is the pigment that gives your skin its color, is over-produced in some areas of the skin, causing those areas to darken. This can vary greatly in terms of shape and size, as well as placement on the skin. These are naturally one of the main components of your skin’s surface, and are an integral part of your skin’s matrix and structure. However, with age, the body’s natural production of ceramides declines, meaning that the skin then begins to lose its firm structure and supple surface. Research shows that the topical use of ceramides can really help with this, improving suppleness, roughness, uniformity, hydration and overall glow. Once you have gone through menopause, your skin will be experiencing even more drastic changes. Due to the drop in estrogen levels, the skin becomes much thinner and more fragile, meaning that it is even less able to retain moisture. Not only that, but research shows that, in the first five years after menopause, 30% of your collagen is lost. 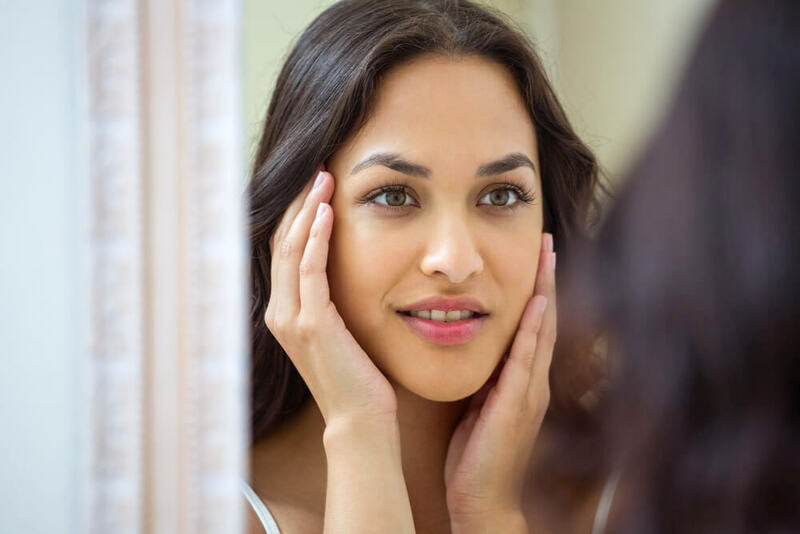 This may sound frightening, but there are still several steps that you can take to keep your skin looking youthful and healthy. Begin by making sure that you are already following all of the tips mentioned in each section above. While you may not be able to reverse your skin’s changes, you will still be able to brighten and nourish the one you have, preventing the changes from worsening. A multi-step skin care routine is vital, and this should be something that you follow each and every day. Wondering what the multiple steps should consist of? If you have worked out a skin care routine that is working for your skin in your 50’s, then stick to it through your 60’s, adjusting and adding in individual products when needed. If you have been caring for your skin well throughout your life, then, by the time you reach your 60’s, you will be able to tell what your skin does and does not need. One example of a product that you may want to add into your routine at this stage in life is targeted wrinkle creams. These are potent formulas that come with a small applicator that enables you to directly apply them to each wrinkle. 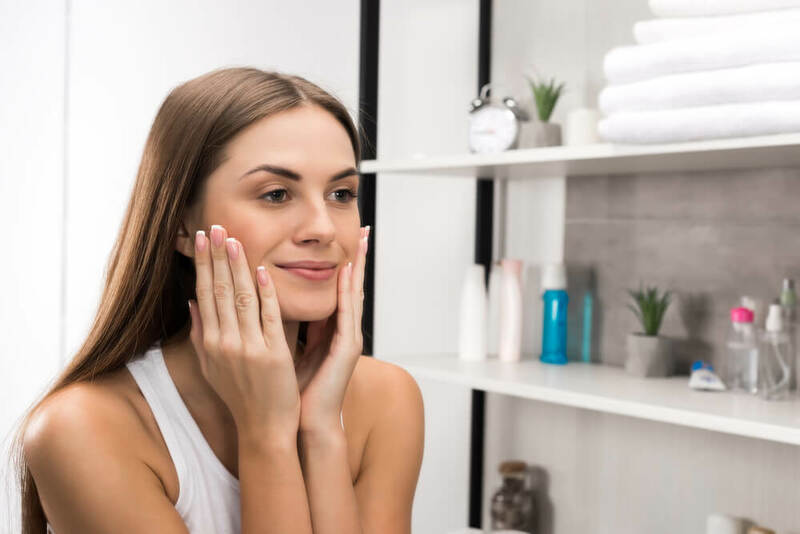 Of course, skin care is internal as well as external, and caring for your skin from within can really help to maintain a healthy glow throughout your later years. How can you care for your skin from within? By understanding the changes that your skin goes through as your body ages, you will be able to provide it with exactly what it needs. From the preventative steps that you can take in your 20’s, to the healthy lifestyle changes you can make in your later years, it is well worth taking the time to keep your skin healthy, no matter what age you may be. With everything from pollution to the food that you eat leading to the creation of toxins in your skin, it is so easy for your skin to become weighed down by all of these impurities. To keep your complexion looking fresh and healthy, here are eight tips to follow to purify your skin, from both inside and out. 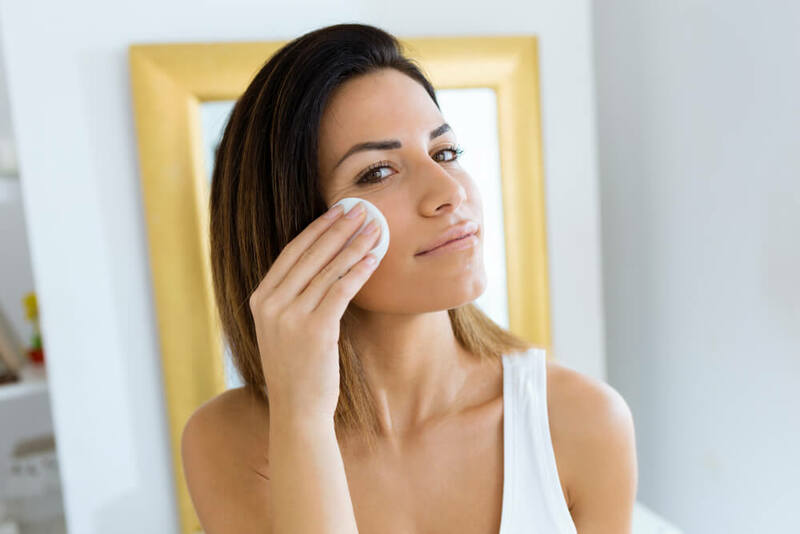 Everyone is guilty of neglecting to cleanse their skin once in a while, but if you do this too often, this is a sure-fire way for impurities to build up on your skin. Most people only need to properly cleanse their skin once a day, so save this for the evening. This gives you the chance to clear away all of the dirt, pollution, bacteria, sweat and more that will have settled on your skin throughout the course of the day. Once you have cleansed your skin, it is in quite a vulnerable state, so a layer of moisturizer immediately afterwards is essential. The moisturizer will form a barrier over the surface of your skin, preventing impurities from working their way into your skin’s layers. This means that, in the morning, you only need to rinse your skin with water, rather than using a cleanser again. Why shouldn’t you use a cleanser in the morning too? Because over-cleansing can be almost as bad as not cleansing at all. Your skin needs its natural oils in order to thrive, and clearing these away too frequently will leave your skin red, irritated and damaged. When impurities build up on your skin, they need somewhere to go, and the only place is into your pores. For those who suffer from oily skin, this is especially challenging, as the impurities end up mixing with your skin’s natural oils and really affecting your complexion with acne and pimples. From hydrating to anti-aging, there are so many different types of face masks out there, each designed to target specific skin issues. One type of face mask that you will often see is the purifying face mask. These come in a variety of forms, from clay masks to sheet masks, so use whichever type you are most comfortable with. It all comes down to their active ingredients. 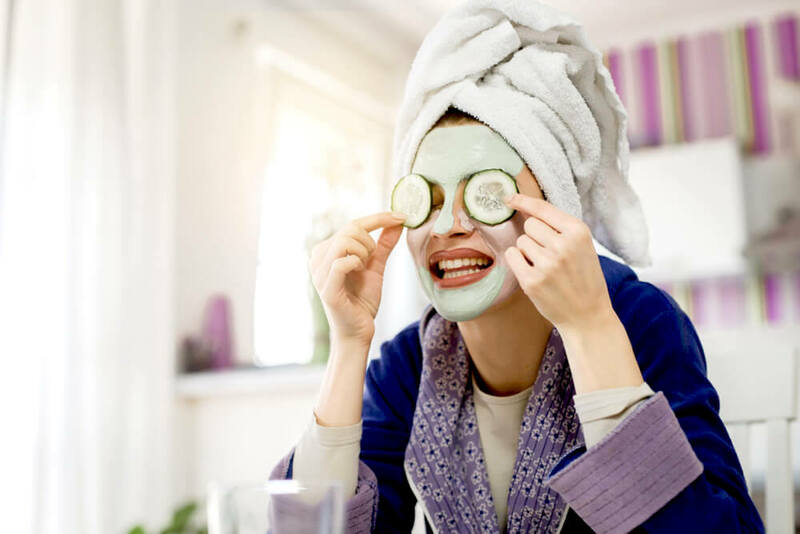 There are certain ingredients out there that have been proven to help extract impurities from the skin, and these are what tend to be used in purifying face masks. Clay masks are usually the go-to mask type when it comes to purifying the skin, as they begin to work their magic in just a couple of minutes. They basically draw all of the toxins out of your skin, and also absorb excess oil. They are fantastic for those with oily skin, but those with dry skin may find that their skin feels even drier afterwards. 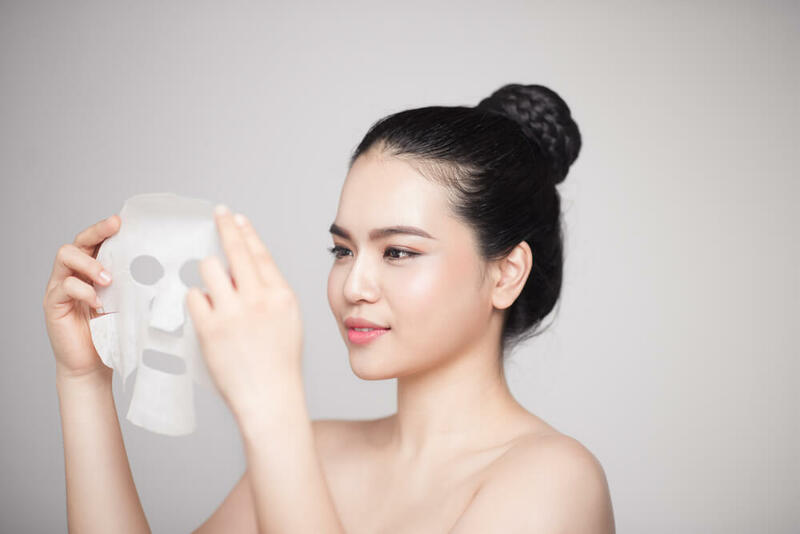 The key here is to really be diligent with the amount of time that you leave the mask on for, as leaving it on for too long can leave your skin dehydrated. Activated charcoal is another popular ingredient in purifying face masks. It binds to dirt and toxins in the skin, helping to pull them out, ready for you to wash away. It is also able to help treat acne, speed up skin healing, and can be used on the hair and scalp too. Algae is also extremely effective, because not only does it contain a wide range of antioxidants, amino acids, and omega-3 fatty acids, all of which help the skin to detox, but it also adds moisture to the skin. This then plumps up the skin’s natural protective barrier, therefore preventing more impurities from settling into the skin. Other common ingredients in purifying masks include lemon, tea tree oil, and coconut oil, all of which help to rid the skin of toxins. If you decide to only follow one of these tips, then this should be the one to choose. Water is essential when it comes to purifying the body, and even a small amount of dehydration can result in a huge build up of toxins. 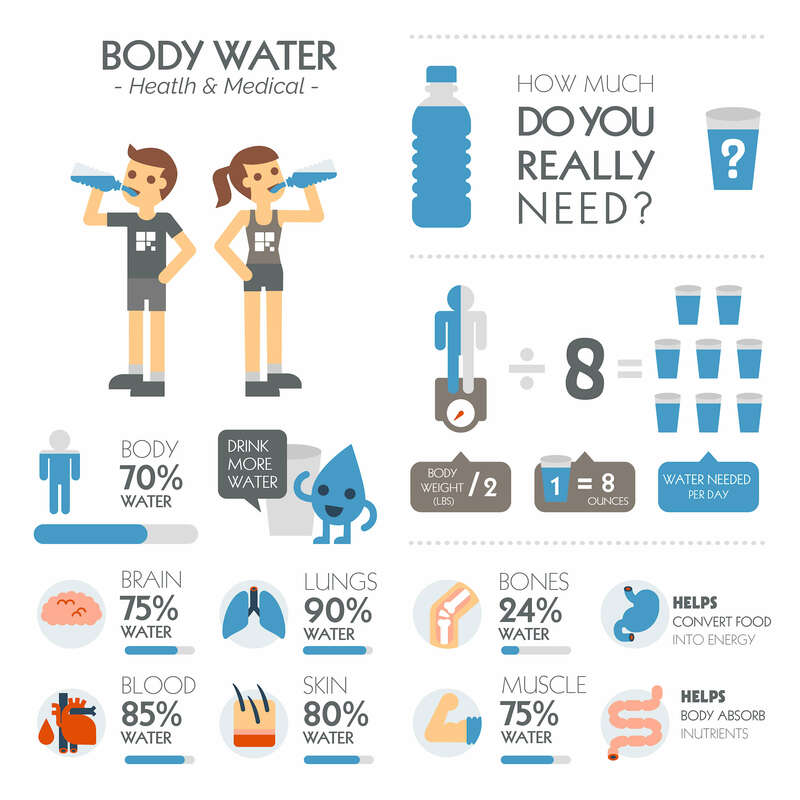 You should aim to drink at least eight glasses, or two litres, of water each day, and try to sip on this throughout the day, even if you are not feeling thirsty. 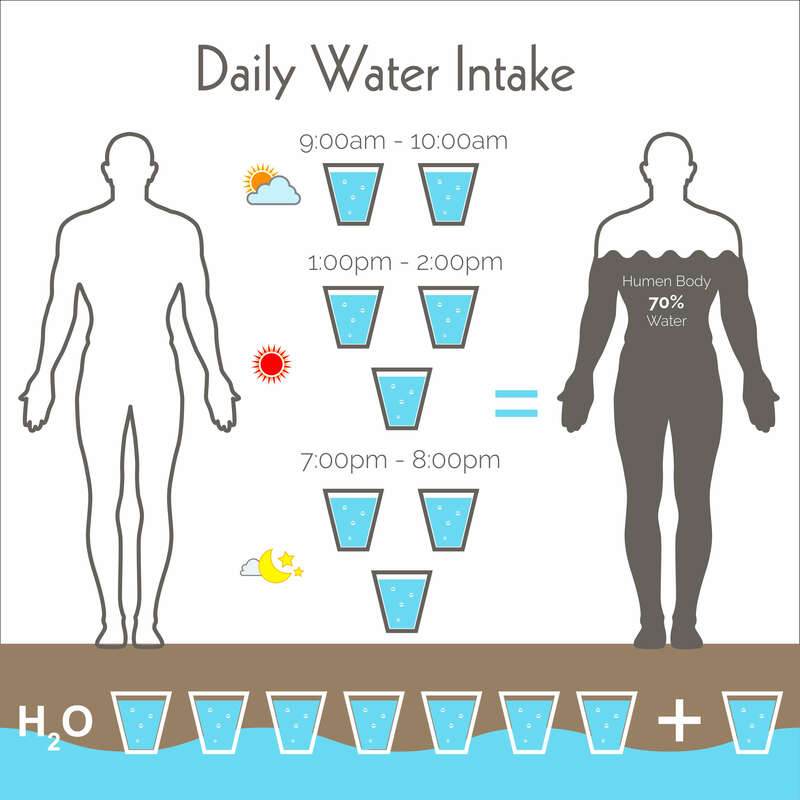 Find it difficult to drink so much water? Try infusing your water with some fruit, or give herbal teas a try, which are discussed in more detail in tip number six. Your diet directly affects your skin in several different ways. 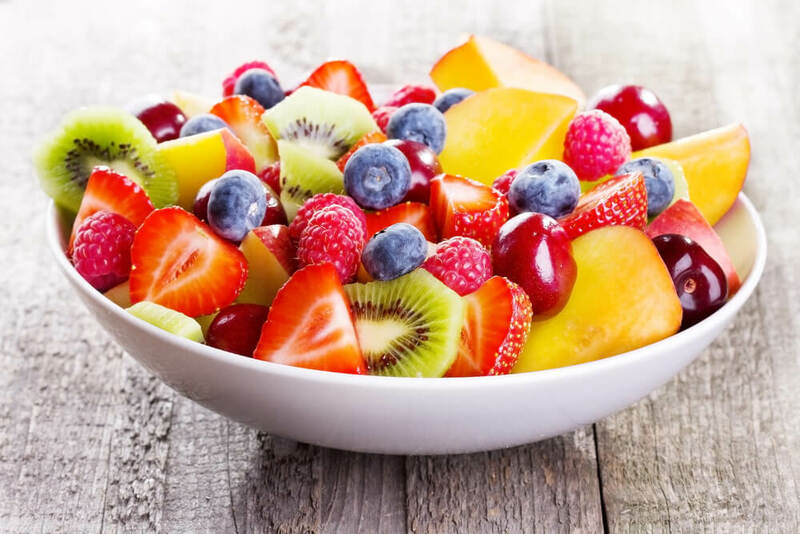 By consuming a diet that is rich in certain foods, you will be able to stimulate your skin’s natural detoxification process, encouraging purification. These same foods will also help to keep your blood healthy, and since your blood is your skin’s source of oxygen and nutrients, this can, again, have a huge impact. So, what should you actually be eating? In addition to incorporating more purifying ingredients into your diet, you should also try to cut back on the amount of refined sugar, dairy, and fried and processed foods that you eat. Because these are filled with impurities that are severely detrimental to your skin. It may not seem like it now, but once you take the steps necessary to improve your diet, you will definitely notice a huge improvement in your skin too. There are so many herbs out there that have been proven to help purify the skin and body, but incorporating these into your diet can be challenging. Infusing certain herbs into a tea gives you the opportunity to really make the most of the antioxidants that these herbs contain. Wondering which herbs will work best for your skin? Aim to drink around three cups of a herbal tea a day, especially if you are proactively trying to purify your skin in a set time frame. From face masks to facial cleansers, many of the external skin-purifying methods tend to be focussed on the face. But what about the rest of the body? This is an effective, inexpensive, and quick way in which you can purify the skin all over your body on a daily basis. Never heard of dry brushing before? It is a technique that has actually been used for centuries, mostly for the way in which it purifies the body and skin. It does this in numerous ways, from boosting circulation to stimulating the sweat glands, all of which help the skin to detox. You do need to purchase a dry brush to do this, but these are generally inexpensive and widely available. Try to opt for a brush that has natural bristles, as these will be kinder on your skin. Once you have your brush, begin at your feet and slowly work your way upwards, simply brushing your dry skin. Make sure that your strokes are always aimed towards your heart, and do not dry brush any parts of your skin that are cut or infected. Dry brushing is best done right before you step into the shower, as this then enables you to wash away all of the impurities that you have dislodged. Well, in the beginning, it may take you about 15 minutes. But, once you get the hang of the technique, you should be able to dry brush your entire body in just five minutes. Want to try dry brushing your face too? This can really help your complexion, but make sure that you purchase a dedicated facial dry brush. 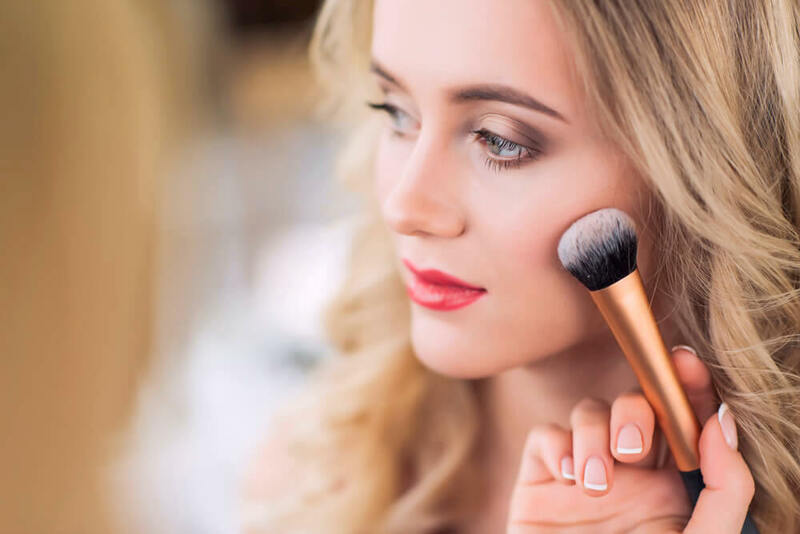 These will be made with softer bristles, which is essential since the skin on your face is much thinner, and more delicate, than the skin on your body, therefore much more susceptible to damage. They are a bath that is able to purify the skin, as well as the rest of the body. This all depends on the type of bath that you choose. An Epsom salt bath is the most popular type of purifying bath out there. Epsom salts are actually a naturally occurring mineral compound, rather than an actual salt, and are packed with magnesium. Magnesium basically acts as a toxin repellent, flushing any impurities out of your skin cells. Adding some bentonite clay to your bath can also help to purify your skin. Bentonite clay has a negative ionic charge, while the toxins in your skin tend to be positively charged. This means that the clay and the toxins end up bonded together, so, when you wash the clay away, you are also washing the toxins away. Other ingredients that you can use in a detox bath include ginger, essential oils, sea salt, seaweed and apple cider vinegar. When running a purifying bath for yourself, make sure that you do not add any commercial products to the bath. Because the majority of these will contain at least one type of chemical, and since you are purifying your skin, you want to keep unnatural chemicals as far away from it as possible. Following these tips and taking the steps necessary to purify your skin can have a huge impact on your complexion. You will likely notice that your skin develops a bright, healthy glow, and skin issues such as acne, psoriasis, rosacea and more will all be improved. Over the years, we have watched the shirts get higher and the pants get lower. Unless our dryers are just getting more powerful, there seems to be an American obsession with the abdominal area. If Gwen Stefani and Beyonce are any indication, midriff exposure may be the new black. And we all know that dedication to fashion can take hard work. If you want to show off your killer abs, you have to have the killer abs to show. Weight training is a great way to get your belly in shape so you can model the latest crop top/ hip hugger combo. Here’s how! It may seen logical that exercising one part of your body is the best way to trim fat from the area; hence, performing crunches will strengthen the abdomen. The truth is, that while crunches may provide for a more toned appearance, they won’t burn fat around your stomach. If your goal is weight loss, you need to burn more calories than you ingest, and burning calories includes a strong aerobic component. Circuit training is a great way to combine aerobics with strength training. Circuit training includes a variety of exercises performed consecutively without rest in between. It helps to calories and raises the heart rate. Combined with a healthy diet, circuit training can help you burn fat all over your body, belly included. You can include almost any type of weight training exercise into your circuit, as long as you keep moving for a minimum of twenty minutes. Lifting free weights and using exercise machines are both acceptable circuit training activities, however, because you want to avoid taking breaks, you may not want to do multiple barbell exercises that require the addition or removal of weights or any machines that have to be set up. For best results, you should give your muscles 48 hours to heal between sessions. You might choose to do a full body workout every two days, or work your lower body on one day and your upper body the next. Barbell Crunches: Lie on an incline bench face up. Your knees should be on the bend of the bench and your feet should be below the foot pads. Use an overhand grip to hold a barbell with your arms extended upward and your hands a shoulder width apart. Exhale, curling your upper body in the direction of the ceiling keeping your arms vertical and your lower back on the bench. Inhale and lower yourself back to the starting position. Dumbbell Pullover: Lie down face up with your upper back across the bench and your feet pressed flat to the floor. Your body should be straight from your shoulders to your knees. Grip the dumbbell with both hands and extend arms past your head horizontally. Exhale while lifting the dumbbell over the upper chest, then inhale while you return the weight to its starting point. Low Pulley: Lie on the floor in front of a low pulley machine and attach the straps to both your ankles and the low pulley. Grab a support behind your head. Exhale and bring your knees to your chest using your hips and knees, and then your lower back. 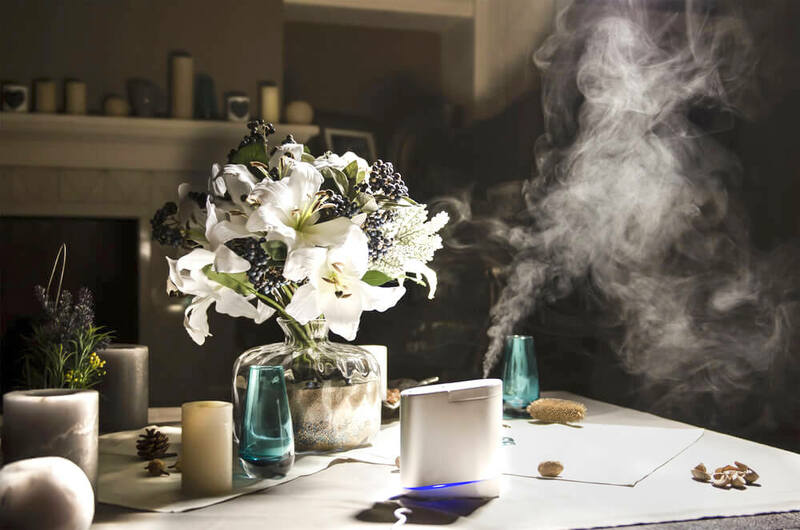 Inhale and return to starting position. Are you doing circuit training to keep that six pack firm? Let us know how you do it, send us every sweaty detail.